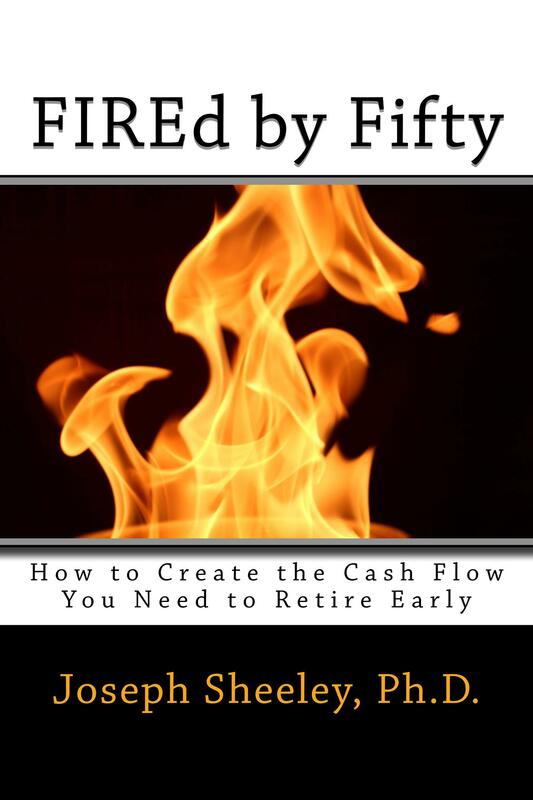 This is part of a series of posts for an online class on how to use your investments to fund your retirement. To find other posts in the series, select the category “Retirement Investment Class” under “Retirement Investing” at the top. The posts will appear in reverse order, with the newest post first. A portion of your retirement portfolio should be dedicated to generating current income. This means that you want assets in your portfolio to be sending you a check regularly so that you can pay for food, utilities, and other expenses you’ll have in retirement. For example, if you own bonds they will send you an interest check twice per year. Likewise, many stocks will send you a dividend check four times per year. REITs (Real estate portfolios) will send you money from rents that they receive from properties in the portfolio. All three of these types of investments will also send you capital gains distributions periodically from when they sell a security at a profit. While you can also sell off shares to generate cash, it is better to have interest and dividend payments coming into your account so that you don’t generate brokerage commissions and other costs by selling. Once you have things set up, it also means that you don’t need to do much of anything. To show how the process works, let’s assume that I have a two million dollar portfolio, of which I’m using $1.5 M to generate income. The other half-million I am leaving in growth stocks to keep up with inflation and get better returns than I can from income generating assets. I’ll use a combination of bonds, dividend-paying stocks, and REITs to generate income. Let’s say that I want to generate about $50,000 per year in current income from the portfolio. I’ll use these funds as building blocks to generate the income I want. Bond funds tend to pay the most cash, but the higher-paying bonds funds are also riskier. The amount they pay (in dollars) will also stay relatively fixed with time, while the value of a dollar will decrease due to inflation, so over many years my spending power will be reduced if I only buy bond funds. 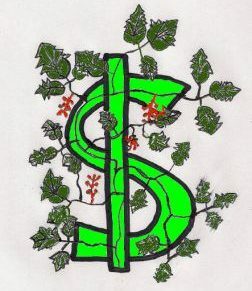 The dividend-paying stocks don’t pay as much as the bond funds, but the amount that they pay will increase with time. I may only get $5,000 from a dividend fund this year, but in ten years I may be getting $10,000. An equal investment in a bond fund may pay $7500 this year, but in ten years it will still be paying $7500. The dividend part of the portfolio will help me keep up with inflation. The growth stock portion will do this as well. The REIT fund will pay as well as some of the bond funds, but also will have some capital appreciation, helping to keep up with inflation as well. It is also in a different sector of the economy than stocks or bonds, so the price of the fund may stay up when the stock and bond funds go down and vice-versa. This adds stability to the value of my portfolio. Hey – if you like The Small Investor, help keep it going. Buy a copy of SmallIvy Book of Investing: Book1: Investing to Grow Wealthy, buy one of the products shown, or just click on one of the product links and then browse and buy something else you need from Amazon’s huge collection. The Small Investor will make a small commission each time you buy a product through one of our links. Want all the details on using Investing to grow financially Independent? Try The SmallIvy Book of Investing. The strategy is to utilize the higher-yielding bond funds to increase my returns, but also buy some lower-yield funds for security and to reduce volatility. I’ll add dividend-producing stocks for growth of income. I’ll add REITs to help provide income, stability, and some capital appreciation. My total income would be $55,560, which is $5560 above my goal. This is fairly close to my goal, so I may say this is good enough and go with it. The portfolio is nicely balanced, with 47% in bonds, 20% in bonds, and 33% in real-estate. If I really didn’t need more than $50,000, I would probably shift more money into the high-yield stock fund, which would reduce my current income but increase my future income and get a little better overall return on the portfolio over time. So there you have it – the strategy for setting up the income portion of your portfolio. Develop a list of funds with their yields, allocate money to each fund, trying to spread the money out among bonds, dividend-paying stocks, and real estate, and then adjust the allocations until you reach your needed income needs. Have a burning investing question you’d like answered? Please send to vtsioriginal@yahoo.com or leave in a comment.